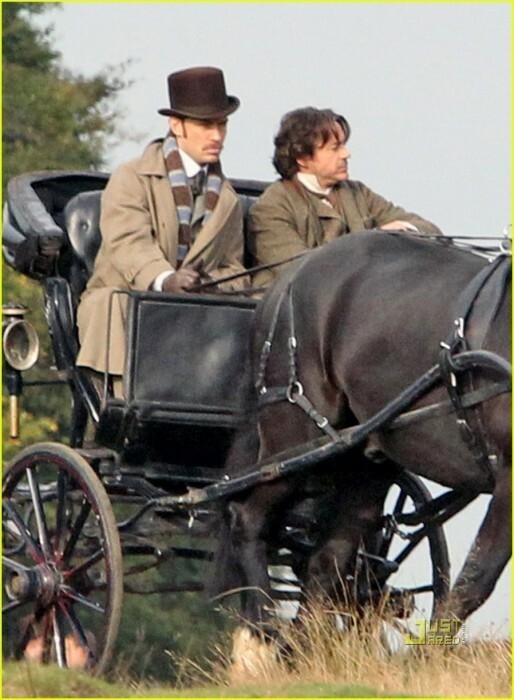 On Set: Sherlock Holmes 2. On Set: Sherlock Holmes 2. Wallpaper and background images in the Sherlock Holmes (2009 Film) club tagged: sherlock holmes robert downey jr jude law sequel 2011. This Sherlock Holmes (2009 Film) photo contains 马车, 马车马车, 马教练, 教练马, carthorse, 车的马, drayhorse, cart马, and 北冰洋的马车 drayhorse. There might also be 四轮马车, 巴洛克, 马车, 运输, 装备, 钻井平台, 马车, 设备, 钻机, 车篷, caleche的, 车篷顶部, calash, caleche, calash top, and 车篷顶.